DBI works in a close relationship with the developer of the Diver Solution, Dimensional Insight, based at 60 Mall Road, Burlington, Massachusetts, MA 01803. 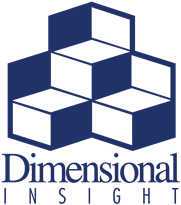 DBI is an accredited developer and a business partner of Dimensional Insight. DBI is also the founding member of the Diver BI Group which is a group of companies each being a consultancy and reseller of the Diver Solution in the UK and Ireland. From time to time DBI may work in conjunction with any one of these resellers to support them or to use their resources on relevant projects.